People with diabetes often switch to sugar-free products if they want to indulge a craving. For example, they might try sugar-free cookies or diet products that are made especially for diabetics or contain no added sugars. Based on that concept, switching to drinking Diet Coke might seem like the best choice. However, diabetics need to consider certain things before trying diet sodas. Diet Coke contains two sweeteners: aspartame and acesulfame-K, also known as acesulfame potassium. Diet Coke also contains artificial colorings and flavorings that have no effect on blood sugar. Both sweeteners used in Diet Coke are considered safe for diabetes, according to Mayo Clinic. However, while the artificial sweeteners won't raise blood sugar, the caffeine in it might. A 2004 study led by researchers at Duke University showed that caffeine consumption can increase blood sugar levels by up to 8 percent. Scientists are not sure why caffeine has this effect on glucose but are still recommending diabetic patients cut down their caffeine consumption as much as possible. Although the sweeteners in Diet Coke don't directly affect blood sugar levels, they can still lead to other problems. According to the Harvard School of Public Health, the sweet taste of Diet Coke can confuse your brain. In normal circumstances, sweet foods have lots of calories. When you drink diet soda, your brain is expecting you to consume calories. When you don't, your hunger will increase, forcing you to eat more to make up for the calories your brain is expecting. The cravings for extra food can be cravings for carbohydrates as well, which would affect your blood sugar. So indirectly, Diet Coke can affect your glucose if you don't pay attention and give in to the cravings. Compared to regular Coca Cola and other soft drinks, Diet Coke is a better choice. Artificial sweeteners contain no carbs and provide no calories to the diet. If you regularly drink regular soda, switching to diet can help you lose weight. This in turn will help your blood sugar levels, as obesity worsens diabetes and its symptoms. 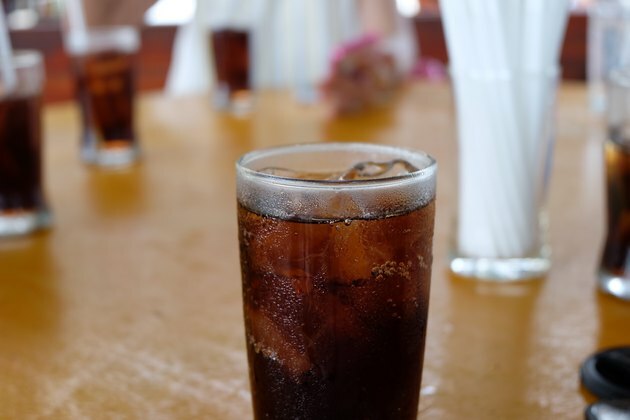 Experts at the Harvard School of Public Health emphasize that sodas, both diet and regular, should be occasional treats and not a replacement for your daily intake of water. Is It Bad to Drink Diet Soda While Pregnant?